We have a dedicated QA/QC to handle Incoming, In-process and Finished goods with independent Microbiology section. Our team also develops methods of analysis, lays down specifications and works out quality assurance norms in relation to activities of Ocean Healthcare Pvt. 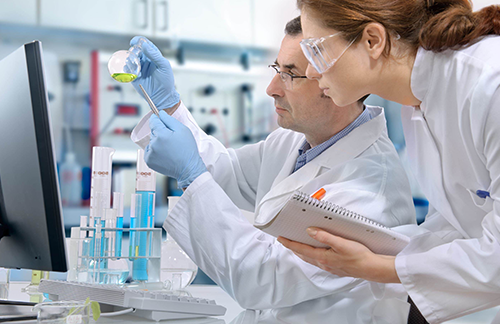 Ltd.
Our R&D lab conforms to global standards and has infrastructure for both basic and applied research. The Lab is focused on New Drug Delivery Systems, Generic Drug Development, Value added Generics and Innovative Nutraceutical products. It is equipped with the latest sophisticated analytical instruments and also a team of dedicated research personnel. We also have a CGMP compliant pilot scale plant commissioned for scale up and stability batches.